So I’ve been going through my recipe box and trying recipes I have not tried and keeping them if I like them, discarding them if I don’t. I’ve rand across a couple that have been some really easy casseroles, they both got my husbands seal of approval! So they’re keepers and I thought I’d share! Dice up potatoes and onion, place at the bottom of a 9×13 pan. Top with butter (I used about 4 Tbsp. sliced into small sections and spread throughout the potatoes). Season with desired seasoning (I just used pepper and lawry’s salt and some minced garlic) Place sausage on top (uncooked). 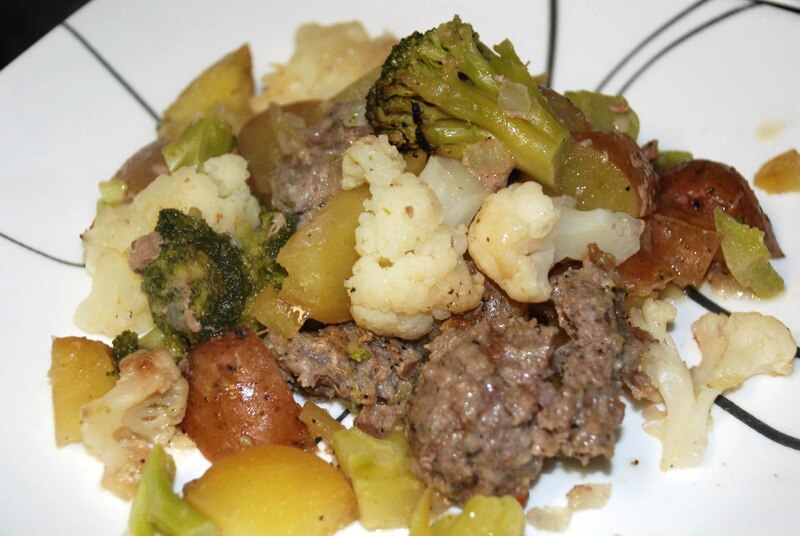 Top with broccoli and cauliflower. Cover with foil and bake at 425 for about 1 1/2 hours. 2 bags of mozzarella cheese – I shredded a block and a half of cheese and that was sufficient. Cook noodles according to directions and brown meat. Combine meat with soup and noodles. 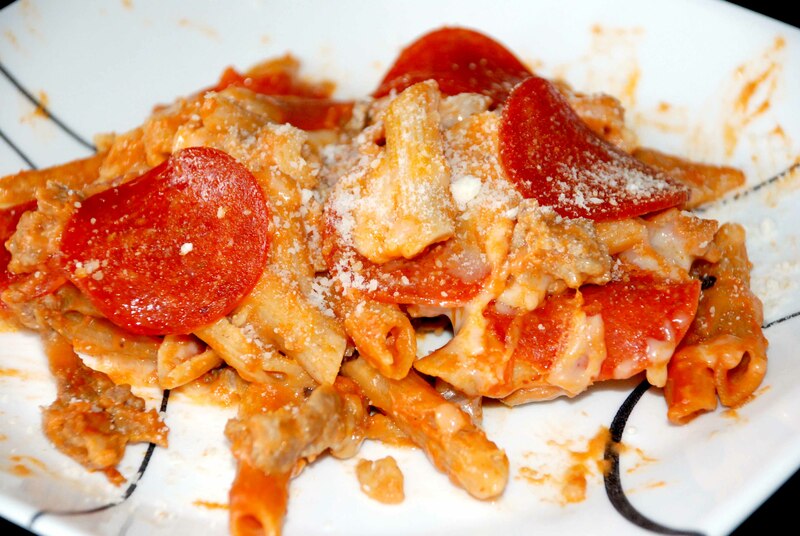 Layer noodle and meat mixture, cheese and pepperoni a few times. Bake at 350 for about 30 minutes or until warm.